My third day of the ‘Seven Black and White Photos Challenge’. Ravi Sidula, a wonderful writer nominated me for the challenge. Likewise, I nominate Srijan for the challenge. No compulsion. Have fun. 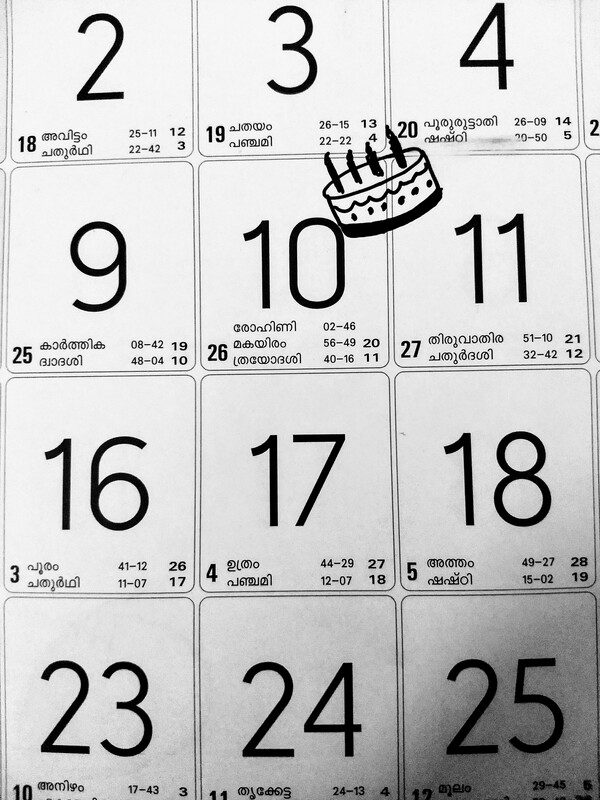 I realized one thing that this may be malayalam calendar kollavarsham. 26th may be gregarion and 10th may be as per kollavarsham. Didnt know abt this diff calendars, nice to learn this. 😊 i was curios what these various numbers meant. This is a gregorian calendar with the malayalam calendar as the sub section to it. Yes i understand it now. Thks.